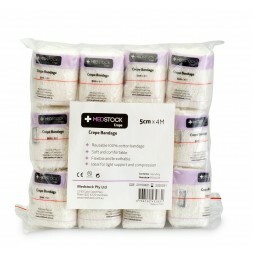 Medstock Light Crepe Bandages are made from 100% cotton material which provide comfortable support and gentle, uniform compression. 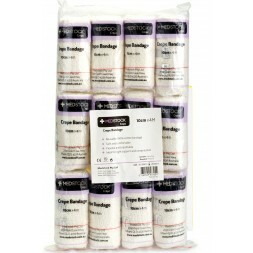 Reusable 100% cotton bandage. Good moisture and oxygen permeability. Highly elastic to allow for joint and muscle movement. Soft and comfortable. 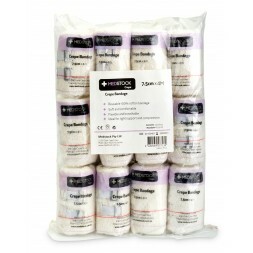 Ideal for light support and compression. Non-sterile and latex free.